Hong Kong is a popular destinations for tourists in Asia. It was a lot to offer from wonderful attractions such as Disneyland and skyscrapers or shopping and local markets. You will also find festivals, cultures, colourful nightlife, international cuisine and shopping centres that will keep you busy on your visit. But, when you visit Hong Kong, like any other place you need to be aware of the scams in Hong Kong which can target visitors to Hong Kong. 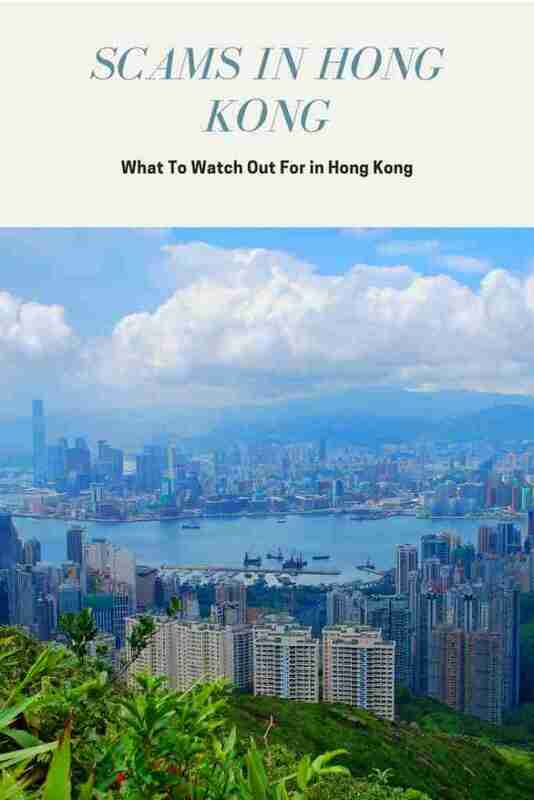 What to watch out for in Hong Kong? Maybe, you can consider these following scams in Hong Kong. This scam is usually experienced by tourists who want to buy some items in certain stores. You may see a nice product that is displayed on the self and you want to buy. However, when you choose the product, the seller will go to the back room and say that he or she will take the new product. In the end, the seller actually does not take a new product, but it is the old one or even the fake one. So, the seller is trying to switch the product with the low-quality product. When you visit Hong Kong, you must be careful, especially at Nathan Road, Kowloon. This is a ridiculous scam that only occurs in Hong Kong because the scammer wants your money. How does this scam work? Basically, the scammer will put a trap using a fake art product on the floor. Then, you may accidentally step on this fake art item and you are asked to take responsibility for it by paying for the damage you caused to the fake art. Pickpocketing usually occurs in crowded areas. 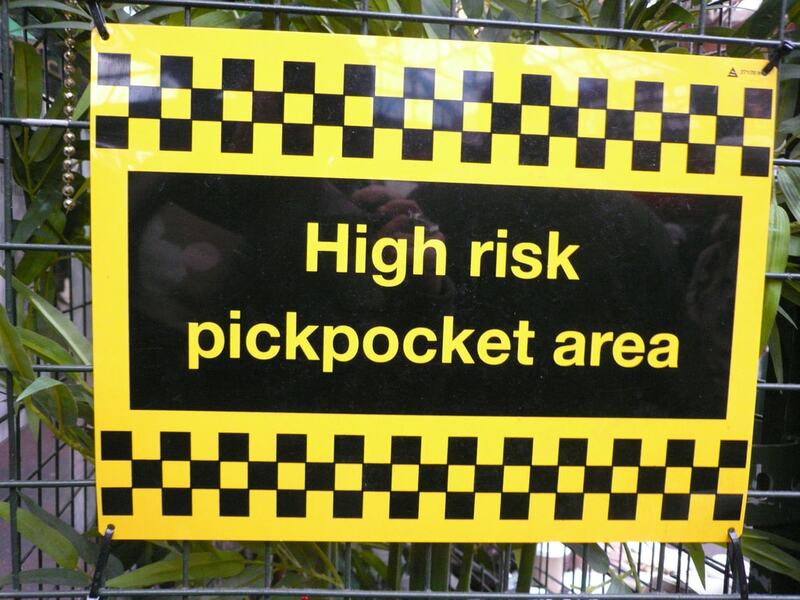 The pickpockets do not work alone and will have some friends who are ready to help. The thieves may grab your gold bead, necklace and wallet in a few seconds while you will not notice the thieves since there are too many people around you. You must be careful when you walk on Nathan Road, Causeway Bay, Temple street, MTR stations and much more. Probably, a fake beggar can be found in many countries, not only in Hong Kong. But, when you visit Hong Kong, you must be careful with fake beggars who are sitting along the street or bridges. These beggars show their bad physical conditions such as no legs, no hand or other conditions, but they are actually normal. Somehow, you can just ignore these beggars because they are actually fairly lazy. Simply, this scam is going old but it still works in Hong Kong. How does this scam work? Someone may come to you and then he will tell you that he lost his phone. After that, he asks you to borrow your phone to call there phone. If you lend your phone to this scammer, he will run away with your phone. You actually can find this kind of scam in many countries including Hong Kong, The trick is actually very simple and it usually occurs in an airport. How does it work? Someone may come to you after you land at the airport, especially if you have a large suitcase. This scammer will offer some help to bring your luggage even if you reject him. After that, he will ask you some money but it is very expensive and there is no chance to refuse it. Otherwise, he will make some noise and try to embarrass you. This is a new way to scam tourists who visit Hong Kong. This scammer will drop some money on purpose in front of you. After that, his friend will pick up the money right in front of you and wants to share it with you. This guy will take you to a special place and then the first scammer will come to you and he will accuse you that you have stolen his money. In this step, the scammer will search your bags and pockets and when he gets your valuable items, he will disappear with your belongings. This may sound stupid but there are some people who have experienced this scam. How does it work? Someone will come to you and he says that he needs your help to take care of his money. But, he wants your valuable items as collateral. Once you give your item, then he will run away and never come back again. So, if you find this kind of person, you must ignore him because there is no such a guy who is willing to give his money to other people. Perhaps, this can be the classic scam that does not only occur in Hong Kong but you can still find it in this city. How does it work? 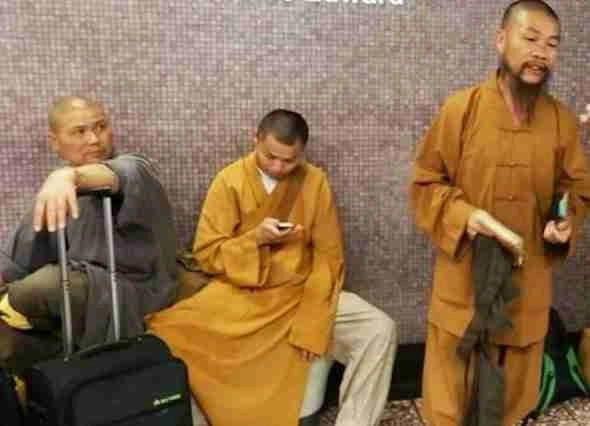 Basically, fake monks are similar to a beggar but they are using the name of a religion. In this scam, they will wear monk outfits while they come to a tourist or the people who pass by and then they will ask for a donation. In fact, they do not use the money for donation but they use it for themselves. In most countries, overcharging taxi is not a strange thing, especially for tourists who just visit the country. In fact, it also occurs in Hong Kong. This overcharging taxi usually happens to you if you do not use meters. You will not know how much you have to spend on the taxi while in the final destination, you will be charged at a high cost. Finally, those are a few scams in Hong Kong that you must watch out for, especially if you have never visited Hong Kong before. You must not easily trust someone who meets you because he may be a scammer. If you are threatened, you must immediately call the police and report it just in case you have been scammed. And that’s it for now! 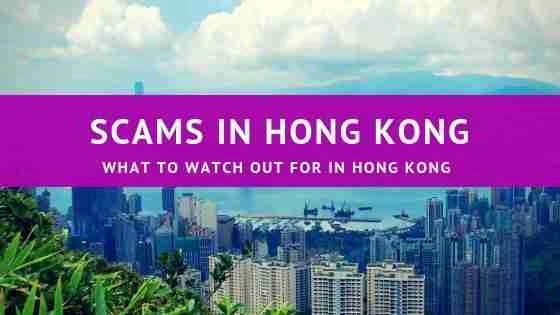 I’d love to know if this guide on the scams in Hong Kong has helped you. Let me know if you have any questions and let me know if you go.